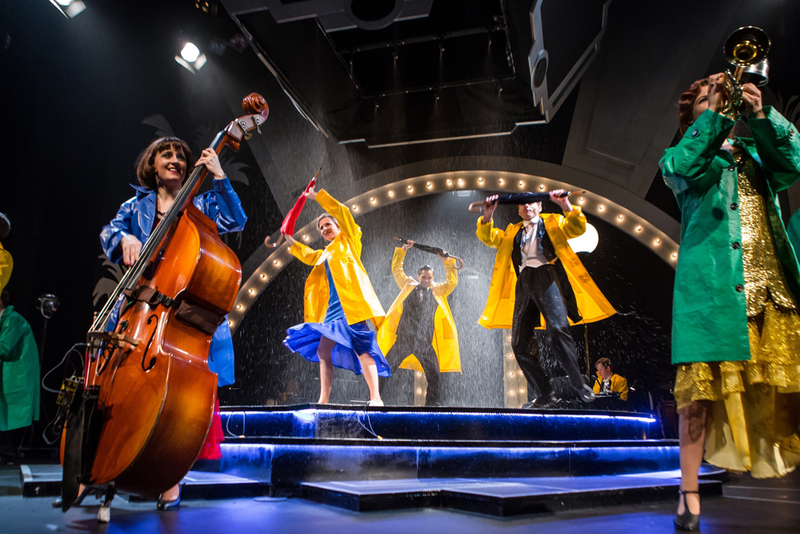 Singin’ In The Rain is one of the most well-known musicals of all-time. After being adapted from the 1952 movie of the same name it has been performed to audience countless times. This brave new adaptation by The New Vic Theatre, Octagon Theatre Bolton and Salisbury Playhouse puts a fresh spin on the classic musical. In fact this is a rare opportunity to see a musical in the round, which is always an engaging and highly enjoyable experience.